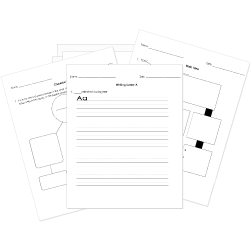 You can create printable tests and worksheets from these Adventures of Tom Sawyer questions! Select one or more questions using the checkboxes above each question. Then click the add selected questions to a test button before moving to another page. Which of the following is the primary influence on Tom Sawyer? What is the name of the town where Huck, Jim, and Tom live at the novel's opening? Which of the following characters gets shot in Jim's final "escape"? Why does Jim run away from Miss Watson's? What kind of animal does Huck kill as part of the plot to fake his own death? What event sets off the final gunfight between the Shepherdsons and the Grangerfords? "Temperance" refers to the movement designed to abolish which of the following? Who finally tells Huck that Pap is dead? Where does Huck go after Sherburn dispenses the lynch mob? Tom Sawyer learned one thing about , people want something a lot when it is hard to get.